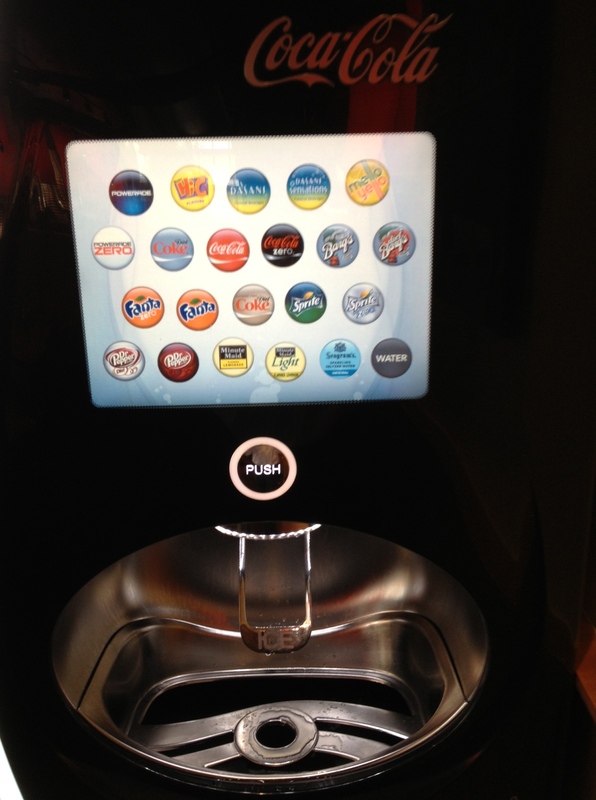 Coca-Cola Freestyle is a touch screen soda fountain introduced by The Coca-Cola Company in 2009. 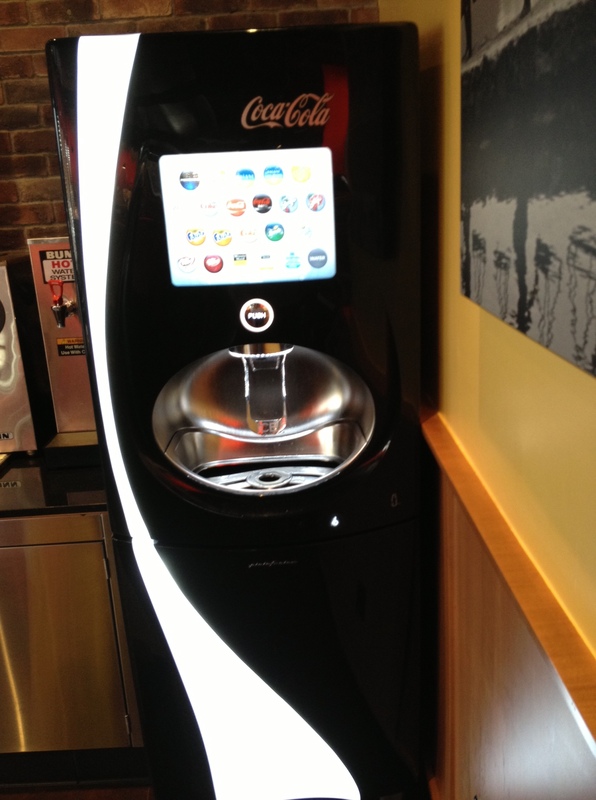 The machine features over 125 different Coca-Cola drink products, and custom flavors. The machine allows users to select from mixtures of flavors of Coca-Cola branded products which are then individually dispensed. The machines are currently located in major Coca-Cola partners and retail locations as a part of a gradual and ongoing deployment. I have seen them in Burger Kings, Fire House Subs, Five Guys, Subway, Wendy’s and Pei Wei just to name some. How does it work? You start off my getting ice. Then you go to the main menu. Then you go to the sub menu for all the different choices to pick thru. All the traditional Coke flavors are represented but a lot of the flavors you will not find in the grocery store, which makes this Freestyle machine so unique. Where can you find a vending machine that serves Orange Coke? How about Raspberry Coke or diet orange coke or raspberry diet coke. I also tried the Sprite Grape and liked it.” Fanta strawberry sounds interesting” as a customer in line next to me quoted. In the mood for water how about Dansani? How about Dasani lime or lemon? They even have 8 flavors of Powerade. I also noticed 8 combinations of Hi-C. They even have 5 different blends of Mello Yello. Even 3 different choices of Mr. Pibb. Wow! There is too many flavors to list.